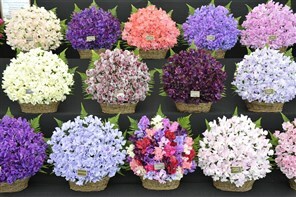 In its seventh year, this wonderful three-day flower show, features over 250 floral and gardens exhibitors. Packed with exhibitors showcasing the UK’s finest nurseries and plantsman competing for the prestigious Best in Show Award. This years event will have more exhibitors than ever before with the stunning Grand Floral Pavilion as the centrepiece of the show. We invite you to join us for an inspiring day out in the unique surroundings of Blenheim Palace. Our Grand Floral Pavilion forms the centre of this years show. Packed with exhibitors showcasing the UKs finest nurseries and plantsman competing for the prestigious Best in Show Award. The Shopping Village will feature an abundance of trade stands selling everything from unique garden gazebos, greenhouses and arbours to gardening sundries and hundreds of other products from over 250 leading exhibitors. Our Food and Drink Pavilion will meet you upon your arrival featuring a range of food and drink purveyors and artisans, including tastings and samples. For gifts and crafts our Home and Country Living Pavilion is filled with a selection of original handmade giftware, jewellery and luxury goods. Home to the 11th Duke and Duchess of Marlborough and birthplace of Sir Winston Churchill, Blenheim Palace is a true masterpiece of 18th Century Baroque architecture. Discover the beauty of this World Heritage Site amongst over 2000 acres of Capability Brown parkland and Formal Gardens. The exquisite Baroque Palace is surrounded by sweeping lawns, formal gardens and the magnificent Lake. The Palace and its Formal Gardens and Park were created a World Heritage Site in 1987 and a great deal of restoration and conservation work has been undertaken in recent years. Your visit makes an important contribution to the on-going restoration and conservation programmes which are necessary to ensure the Palace and its wonderful grounds are preserved for future generations. 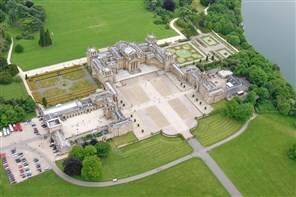 Situated in Woodstock, just 8 miles from Oxford, the Palace was created a World Heritage site in 1987.